Angulation >30 degrees, shortening >4mm or rotation 5° can lead to grip weakness, loss of endurance, cramping, clawing or an abnormal cascade..
Generally have obvious pain and deformity at the fracture site. Document neurovascular status of the finger before and after any reduction. 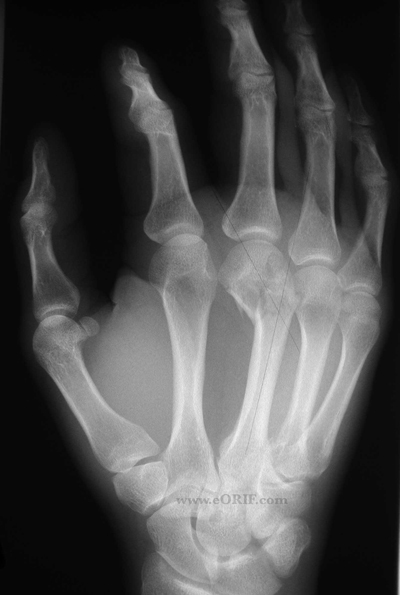 Small finger apex dorsal angluation >50°: closed reduction with ORIF vs CRPP if unstable. 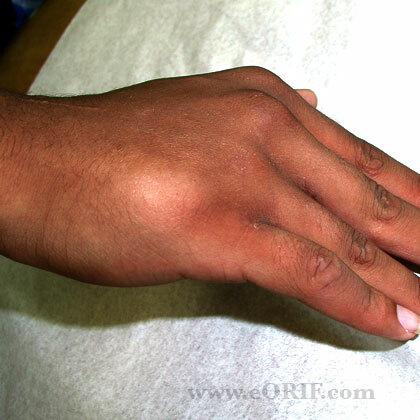 Ring finger apex dorsal angultion >30°: closed reduction with ORIF vs CRPP if unstable. 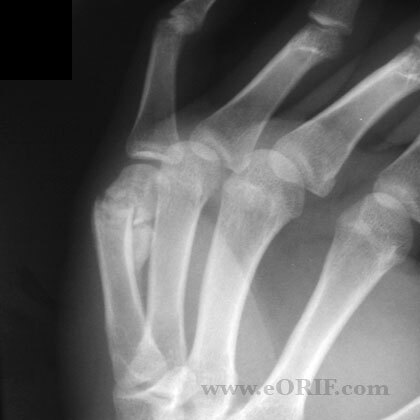 Middle finger apex dorsal anglgutlaiton >15: closed reduction with ORIF vs CRPP if unstable. Index finger apex dorsal angulation >10°: closed reduction with ORIF vs CRPP if unstable. Jahss Reduction Maneuver: MCP joint flexed 70-90 degrees. Proximal fragment is compressed in a palmar direction while the metacarpal head is pushed dorsally. (Jahss SA, JBJS 1938;20:178). 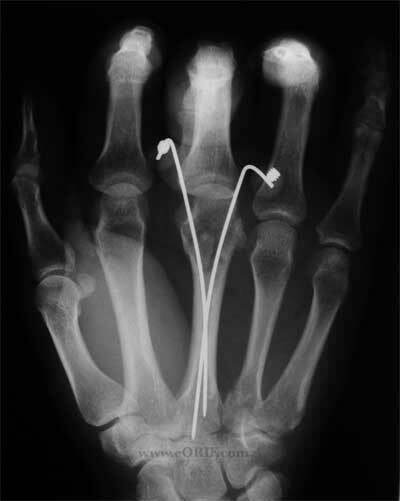 Casting technique: position of the MCP joints and the absence or presence of interphalangeal joint motion during casting has little effect on motion, grip strength, or fracture alignment (Tavassoli J, JBJS 2005;87A:2196). 6 Weeks: Check xrays. Progress with ROM exercises. Activity modifications: no heavy manual labor, no contact sports, no lifting >5 lbs. 3 Months: Check xrays. If union is complete return to full activities. Assess motion, consider occupational therapy if indicated.